Sir Denys Ambrose Williams (12 October 1929 – 7 August 2014) was a retired Chief Justice of Barbados. He served as acting Governor-General from 19 December 1995 until 1 June 1996. Denys Ambrose Williams was born on 12 October 1929 in Barbados. He was one of 10 children of the late George C. Williams and Violet Williams. Sir Denys studied at Combermere School and Harrison College in Barbados, won a Barbados Scholarship in 1949 and went on to study law at Oxford University, subsequently being admitted to the English Bar at the Middle Temple. Sir Denys returned to the West Indies, spending some time working for the West Indies Federation based in Trinidad, before returning to Barbados in 1955. He set up private practice and briefly acted as a magistrate before moving on to various positions in Government as a legal draftsman and assistant to the Attorney General. As Barbados' Chief Parliamentary Counsel, Sir Denys worked with Sir Roy Marshall drafting the constitution of Barbados in preparation for Independence in 1966, and was a member of the team accompanying first Prime Minister Errol Barrow to the Independence conference in London. Sir Denys was later admitted as a Magistrate and subsequently appointed a Judge, being at the time the youngest Judge in the Commonwealth at the age of 37. Subsequently, he became Chief Justice and went on to be one of the longest serving judges in the Commonwealth, retiring in 2001. Sir Denys was associated with several major decisions in Barbados. In May 1992, he delivered the highly anticipated judgement in the challenge of the then Government's controversial eight per cent cut in public sector salaries, declaring the state's action constitutionally legal. This decision was upheld unanimously by the Privy Council in London, England. Also in 19992, in a rare Sunday morning court sitting, Sir Denys upheld an application for a stay of execution in the case of murderers Denzil Orlando Roberts and Peter Bradshaw. As Chief Justice, he also set guidelines for the shackling of prisoners. As acting Chief Justice in 1981 he also presided over the extradition case of infamous train robber Ronald Biggs, ruling that Biggs could not be extradited because the Barbados parliament had not ratified an extradition treaty with Britain. Sir Denys retired as Chief Justice on 10 October 2001. 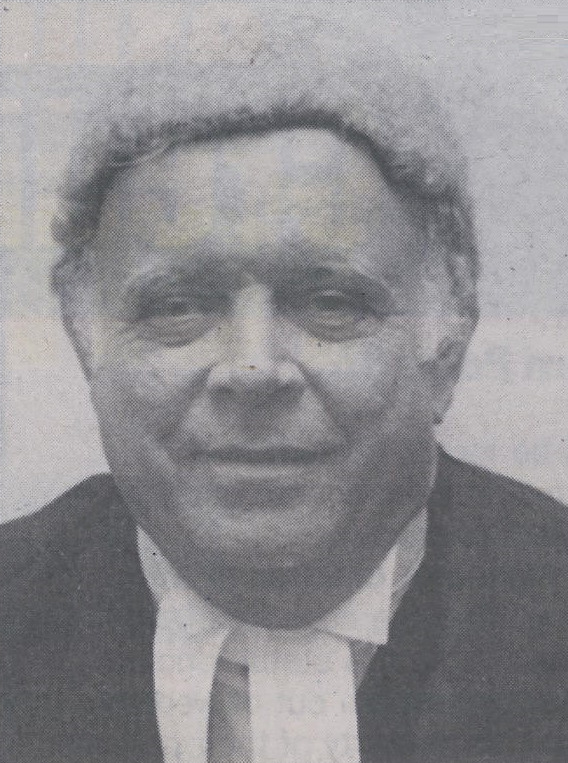 At the time of his retirement, Sir Denys had been the longest serving judge in the Commonwealth, having given 34 years of his life to the judicial service of Barbados. Sir Denys was married to Carmel, Lady Williams and they were the parents of children Fiona, Shaun, Clare, Roslyn, and Simon, and five grandchildren. A daughter, Denise, predeceased him. Sir Denys was also an honorary member of the Canadian Bar and served as Commissioner of the National Insurance Scheme in Barbados until June 2014. Sir Denys was also a member of the Rotary Club of Barbados and served as Chief Scout of the Boys Scouts of Barbados for several years. In July 2012, Sir Denys, along with for Governor-General Sir Clifford Husbands were conferred as Honorary Chief Scouts. An avid sportsman, Sir Denys was also involved in horse-racing, serving the Barbados Turf Club variously as steward, chief steward, and director, only resigning from that organisation in 2013 because of ill health. His knowledge of an active involvement in cricket saw him being selected to site on the International Cricket council's panel reviewing the Condon report on alleged bribery and match-fixing in international cricket. He also served on several local and international commissions. Sir Denys was awarded the Gold Crown of Merit (GCM), Barbados' third highest honour, in the 1981 Barbados Independence Honours. He was twice knighted by Queen Elizabeth II, receiving a Knight Bachelor in the 1987 Queen's New Year Awards and a Knight Commander of the Order of St. Michael and St. George (KCMG) in the Queen's Birthday Honours in 1993. Sir Denys died on 7 August 2014 at his home in Rockley, Christ Church, Barbados. He was 84. His body was interred at the Coral Ridge Memorial Gardens, The Ridge, Christ Church, Barbados on Wednesday, 13 August 2014. Weekend Nation, Friday, 8 August 2014. Daily Nation, Thursday, August 12, 2014.